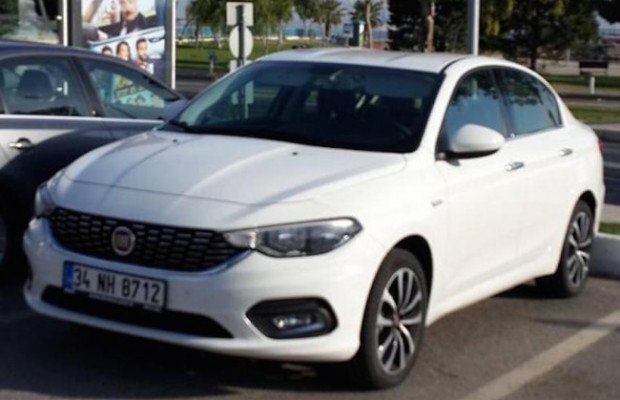 Update: MotorOctane confirms the Fiat Egea was not found in India and was spotted somewhere else. The all new Fiat Egea ( First known as Fiat Aegea) was first showcased at Istanbul motorshow by Fiat as the successor of Fiat linea. Now the car Egea has been spotted in Indian roads. MotorOctane, an Indian automotive magazine has spotted the Egea on Indian roads and has captured the photos of the car for us. The Egea which is expected to launch in the month of November is nothing but the same replica of Aegea car whose concept was first showcased at Istanbul motorshow. The production of these Egea cars is reportedly underway in Turkey. 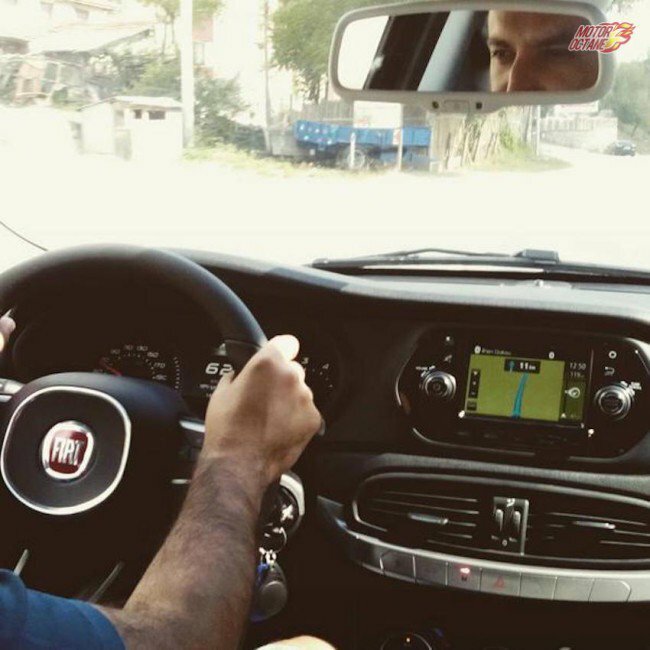 The images of Fiat Egea in India also reveals the interior details of the same. 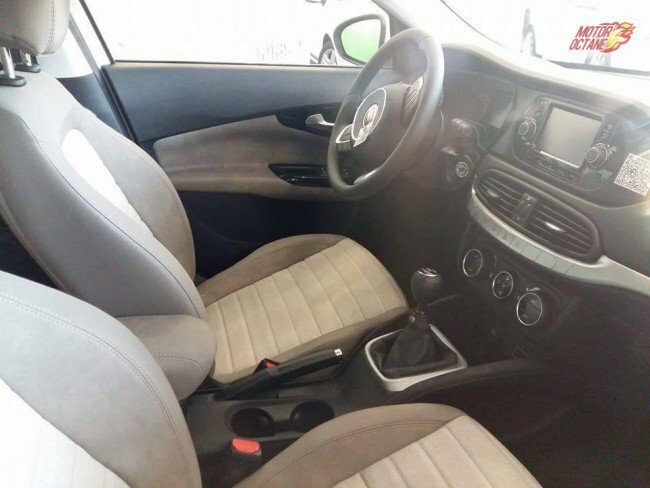 The details of Egea interiors include flowing dashboard that gives more premium touch, with curvy lines which is further enhanced by silver accents that passes throughout the length of the car. The car features with a five inch touch-screen infotainment display as well as the automatic climate control. Under the hood, the all new Fia Egea shall feature four engine options that are split equally between petrol and diesel propulsion. For those who are interested with Petrol version of Egea would have to choose from 90 bhp, 1.4 litre petrol and those craving more power, could specify a 110 bhp, 1.6 litre motor. The likers of Diesel engine options could choose between a 90 bhp Multijet II motor and the range topping 120 bhp. The company is also expected to offer both the variants, a six-speed manual as well as the six-speed automatic transmission as options.